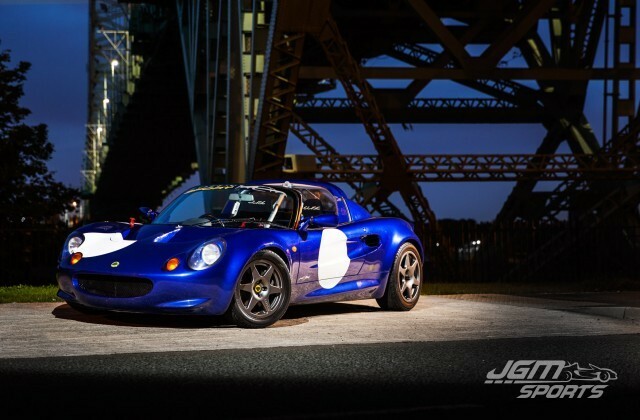 160bhp Minister powered Elise converted to LHD and taken to a new home in sunny Spain. 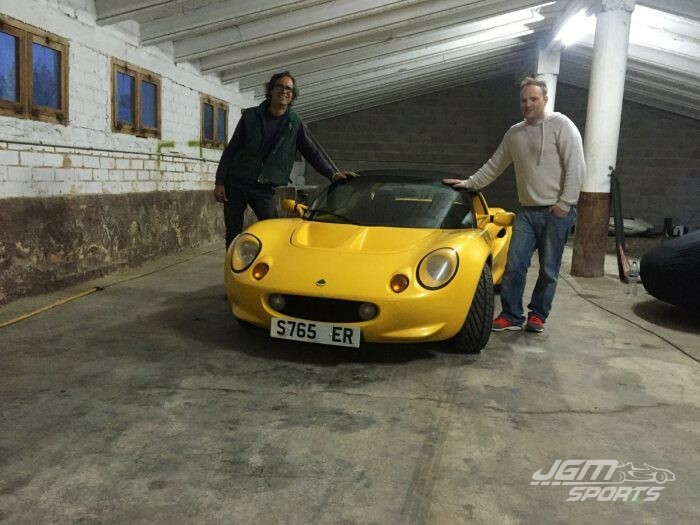 In late 2015 we received an email from Eduardo, a Spanish gentleman looking for a nice Series 1 Lotus Elise. His requirements were very specific. It had to be LHD (left hand drive), fully road legal, ready to pass the ITV test (Spanish equivalent MOT and the first step to Spanish number plates.) It also needed to have a sensible mileage and be delivered to his home town just outside Barcelona. 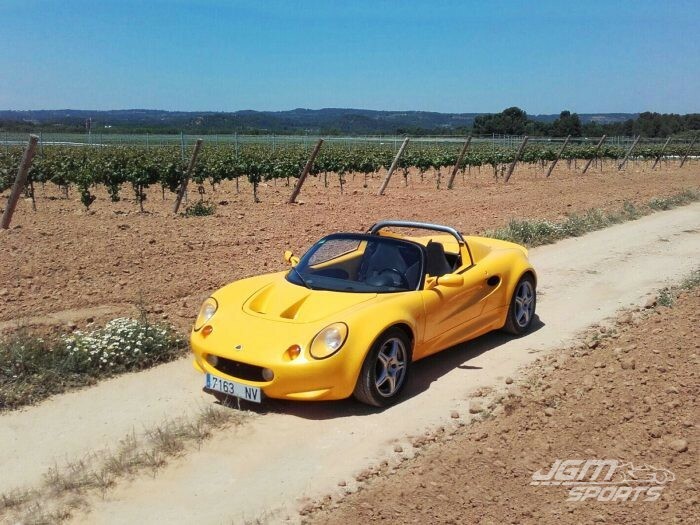 All this with a limited budget of well under the retail price of a LHD Elise in Spain! We often get special requests for cars whether it be budget specific, special editions, rare colours, track prepared, delivery to a certain location etc., but this was the first time we had received an enquiry specifically looking for a LHD car from a RHD country. After keeping in contact with Eduardo and discussing cars for sale on various websites around Europe nothing was suitable or came within budget. 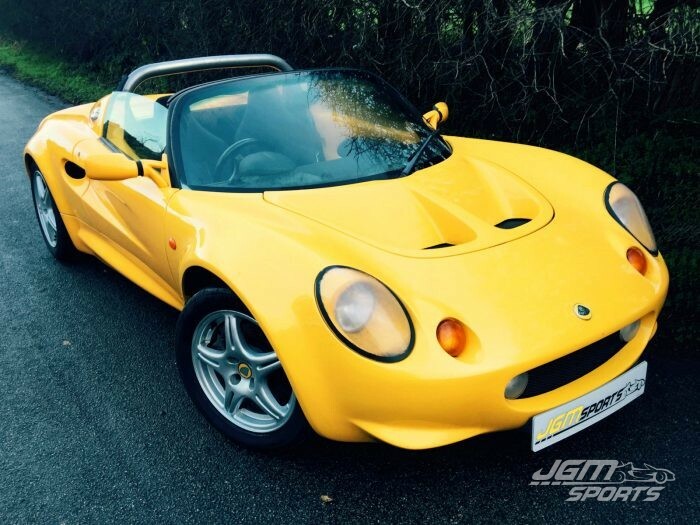 A month or so passed and early New Year 2016 we took into stock a very nice 1998 RHD Minister 160bhp upgraded Norfolk Mustard Yellow S1 Elise with only 53,000 miles that would be perfect for Eduardo’s requirements with the exception of it being RHD. Not only did it have a nice chunk of added power it also had an interesting feature, the roll over hoop was silver and not the standard black. Silver hoops are normally only seen on the sport 135’s and sport 190’s. 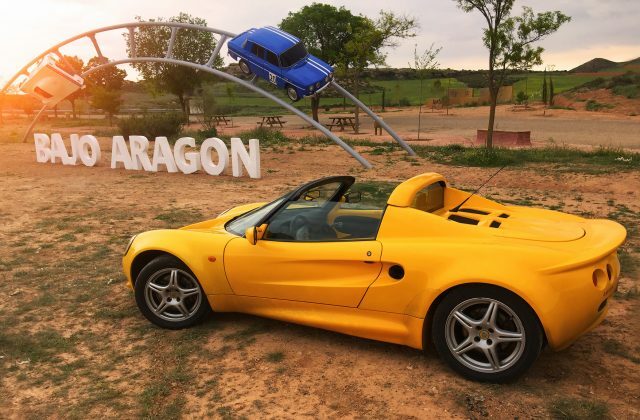 We have had literally hundreds of S1 Elise’s go through our hands and had never seen another standard model with a silver hoop so it was worth a call to Lotus. They confirmed the original main Lotus dealer had specifically factory ordered the silver roll over hoop. Why? Well unfortunately the dealer is no longer in business so we can’t ask them, but it also showed signs that it once wore an A-frame/petty bar, grommets in the passenger foot well (now drivers footwell) covering up where a fire extinguisher would have once been and rare Lotus motorsport toe links. It had obviously had some past track use, perhaps their track demonstration car? As with all of our cars, a full dealer HPI check was made and everything came back clear. Overall it was a clean and well cared for car however it did require some work. The foot wells were in good condition but the interior and seats needed a good clean, mechanically there were a couple of worn ball joints and the steering rack was past its best. As these needed to be replaced it made a great base car for a full LHD conversion that would now meet Eduardo’s criteria exactly? Not only was it a great basis for the conversion it also went beyond his expectations with the added power and a really sort after colour. 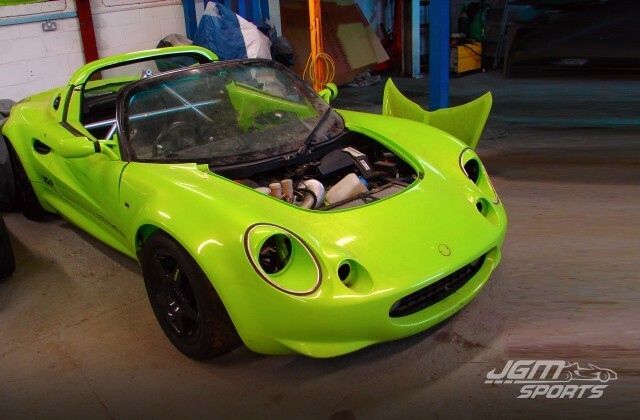 After sending some detailed photos and a couple of videos a deal was done with an agreed timeline to get the car delivered to Eduardo just in time for Spring. 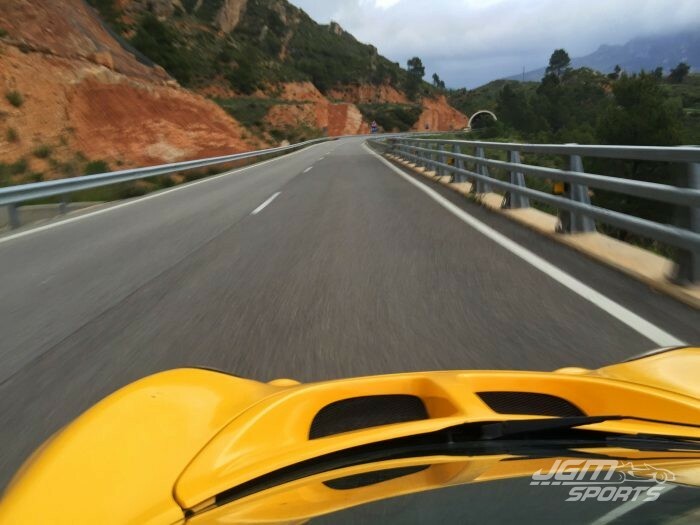 In order for Eduardo to register his new car with Spanish license plates he would require an official certificate of conformity – we agreed to work with Lotus directly and ensured this was included as part of the package. 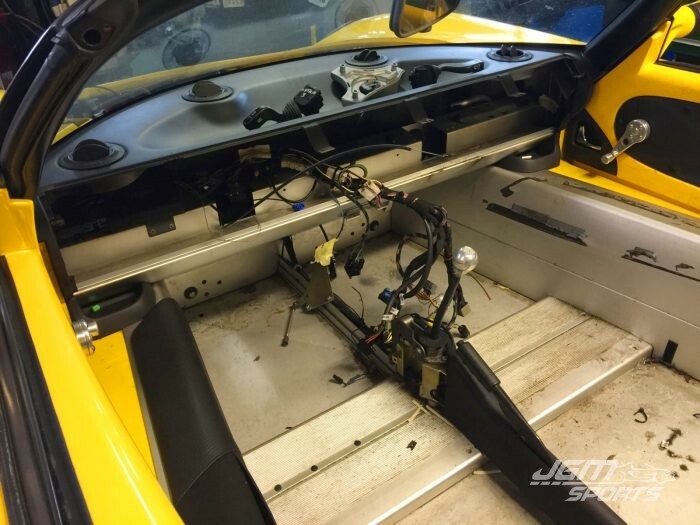 A LHD conversion kit was ordered and the car was stripped to await the new parts. Due to this Elise being a 1998 model there were some of seized nuts and bolts that would need to be replaced with new hardware. It wasn’t long until a large parcel arrived and the meat of the conversion work began. As part of the conversion a lot of parts are mirrored. 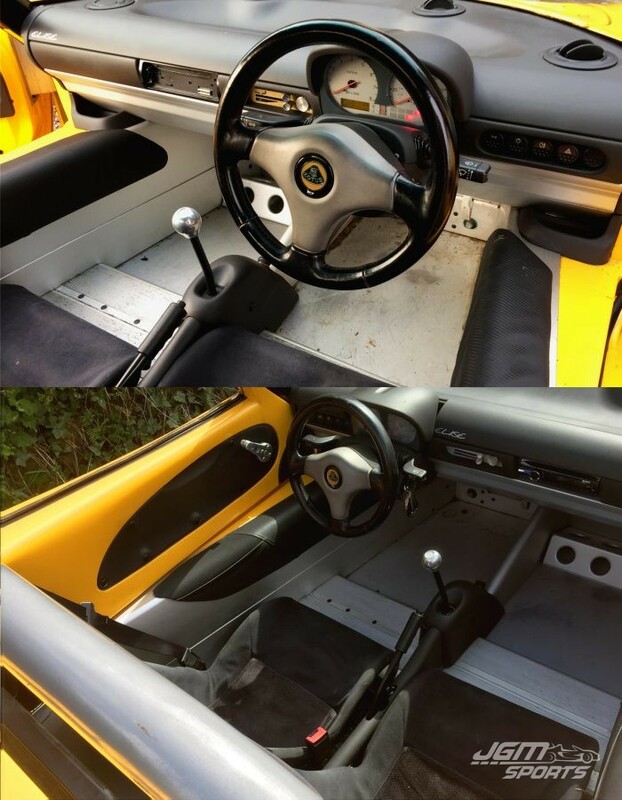 The interior soon had the steering column and pedals on the ‘right’ side (or should that be left side?!) 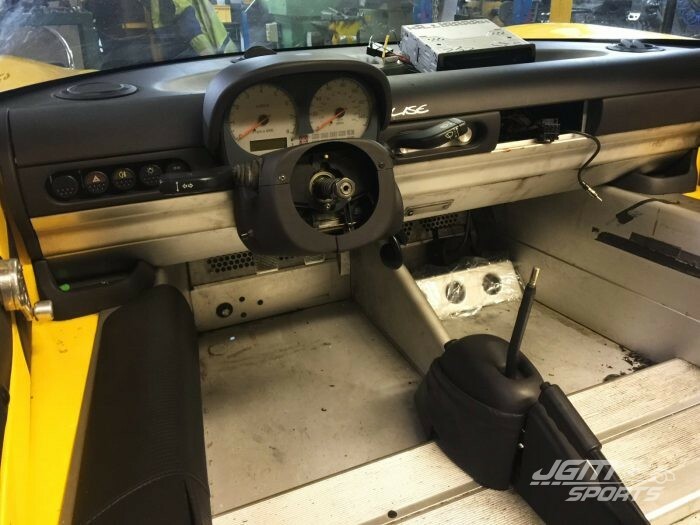 with lots more work to do as the interior only tells half the story. 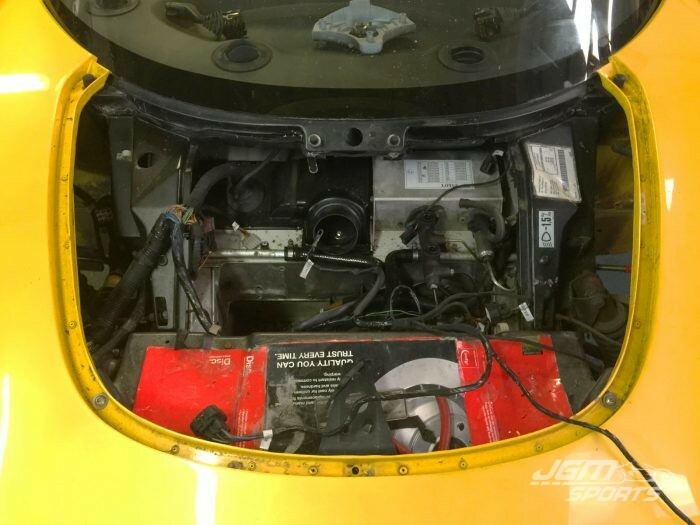 Under the front clam more work is required, the fuse box, heater box, battery, wiper bracket, wiper motor, brake/clutch master cylinder are all moved to the opposite side, this involves re-routing the majority of the front and interior wiring loom. Once the work was completed it was taken for a detailed test drive to check everything was as it should be. Aside from the initial strange feeling of having the gearshift on your right it drove fantastic! Eduardo said he had enjoyed the rolling pictorial of the conversion that had been sent to him as the work progressed from the initial strip down to completion with a finished product photo shoot. 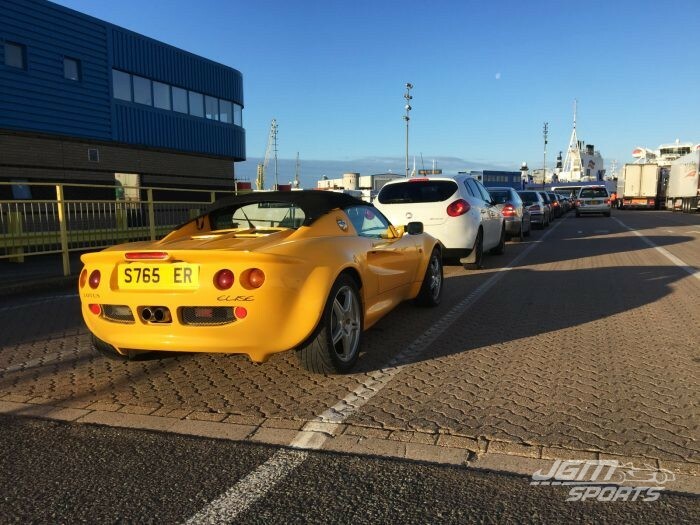 Fast forward a couple of days and the Elise was then driven 4 hours/180 miles down to Plymouth to catch an early morning 24 hour boat over to Bilbao northern Spain. Lunch time the next day and the boat arrived in Bilbao and the Elise started its journey across Spain to Barcelona taking 6 hours along some fabulous roads. By early evening Eduardo received delivery of his new “yellow toy” to add to his stable of other sports cars. After a quick test drive and some paper work Eduardo kindly took us to his local authentic Spanish restaurant for a meal and a chat about cars in our best broken Spanish/English. 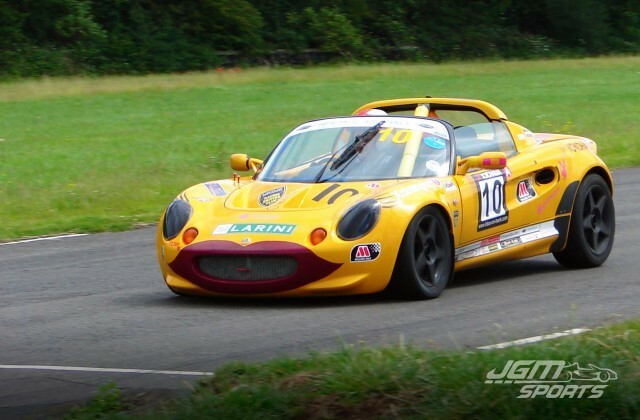 The next day we received a message from Eduardo that the Elise had passed the ITV test with no problems at all! 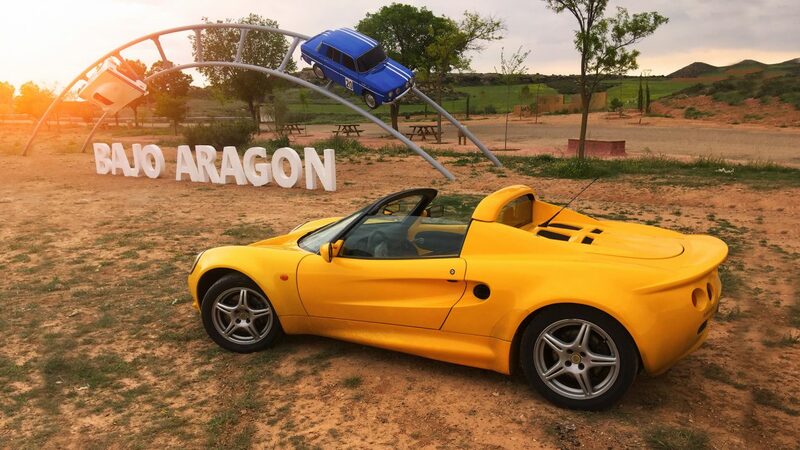 After a couple of weeks of going through the Spanish registration procedure with help from the certificate of conformity the Elise is now officially an expat on its new Spanish number plates ready for Eduardo to enjoy.